Design a ceremony that is beautiful, elegant and personalized, and unique to you. You can meet your officiate, in person, and free of charge before you make any decision. We want you to be totally comfortable and at ease, knowing that your wedding will be perfect. You may customize your ceremony with our expert help. Exchange numerous phone consultations at any time and without limits and depend on us to make sure EVERY detail is in order. Make use of our extensive wedding resources, and have a rehearsal if you desire. You have an experienced, professional Officiant who is focused on you and your needs. Of course, your Officiant will arrive EARLY! You will have our cellphone number so that you can be at peace by knowing where we are at all times. We will provide you with reassurance, direction, warmth and presence to put you, your friends and your family at ease. 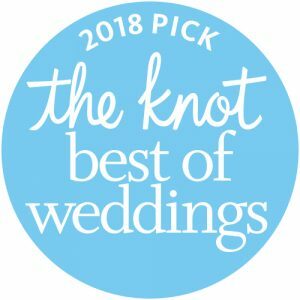 WE WANT YOU TO ENJOY YOUR WEDDING! 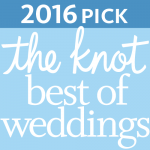 Your ceremony will be conducted with sincerity, dignity, joy and love. We will file your license with the Clerk of Courts for you, and give you your original portion of your wedding license. Consultations are usually done at our home/office in Norristown PA. Exceptions are made for couples living at a distance and can take place via Skype or Facetime. A free consultation is by appointment and typically lasts about an hour. 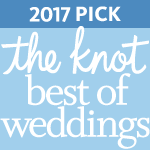 We will discuss all of your ceremony details and options. When our meeting concludes, you will have a folder with great information and we will follow up with Word Documents that we can easily share. If you select and book us, we will continue to perfect your ceremony in unlimited phone or email communications. A final phone conference will be scheduled before your rehearsal or (if no rehearsal) prior to your ceremony. Our support every step of the way, from the first “Hello” to the time you say “I Do”. Customized Ceremony with plenty of options. Legal Filing of Marriage license/certificate and all necessary documentation. $200 for Short and Simple Ceremony (OR LAST MINUTE) at our Residence/Office in Norristown, 2-4 people maximum. $300 for Short and Simple Ceremony (OR LAST MINUTE) at our Residence/Office in Norristown, 5-7 people maximum. $350 for Short and Simple Ceremony (OR LAST MINUTE) at our Residence/Office in Norristown, 9-12 people maximum. $400 for Sweet and Petite at your home or chosen location, under 25 people 10-15 minutes long within 1/2 hour from our Norristown location. 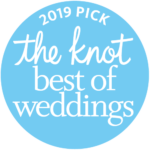 $550 for our Traditional Package, OUR MOST POPULAR, custom crafted ceremony at your chosen location, unlimited number of guests, ceremony inserts and length of time. $150 for rehearsal at your location. The officiant will be available for 1 hour from the scheduled ceremony time. $150 DJ’d Ceremony Music – Professionally DJ’d with Sound system and wireless microphone for officiant. Choice musical selections for your ceremony to include Guests seating, Processional and Recessional music. (Additional hour for cocktails $100). We also can provide battery operated portable system. $50 Wireless microphone and speaker (for up to 50 guests). $75 Casual Photographs of your ceremony (10-20 pictures sent to you on cd) when your ceremony is held at our office location. 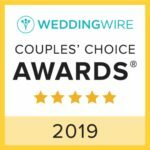 $1400 to 1600 Wedding Officiate and DJ Package (5 hours) –Includes a Wedding Officiant plus DJ for Ceremony, Cocktails, and Reception music with all introductions and announcements. Ask about more details for our Officiate and Sound Investment DJ Package. Price depends on location and number of guests. Deposit is refundable if canceled by writing or email up to 30 days prior to the wedding date. All fees for service can be paid with check, money order or via PayPal. Deposit to secure your date is 100 and is taken off the total. Balance is due a week prior to rehearsal or ceremony if there is no rehearsal. All materials and documents provided to you from Two Hearts One Love are copywritten and protected by copyright laws.